Poison dart frogs contain poison in the skin. Their vibrant colors are warnings to potential predetors. Scientists believe that the poison comes from the food they eat including spiders and other insects. Many poison dart frogs are endangered due to habitat loss and climate change. “Wet highlights” is a painting technique used by medical illustrators to recreate the shiny look to living human organs. 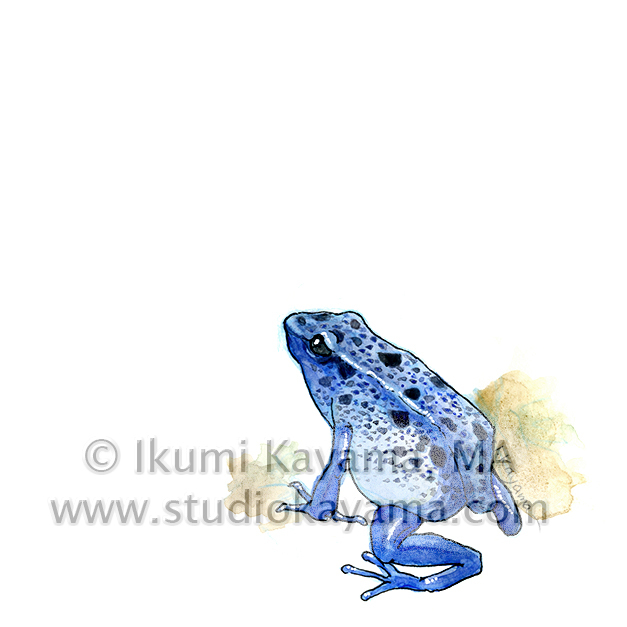 Since I paint wet highlights all the time, it was a special delight to paint wet, shiny look on this blue poison dart frog.